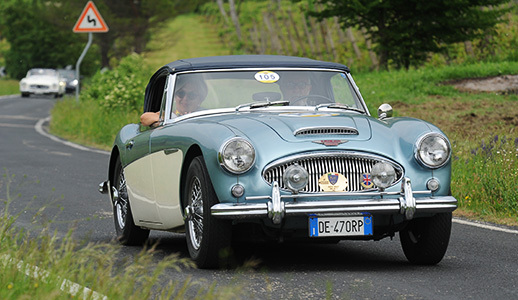 Also this edition of the Historic Minardi Day will be enriched by the Classic Regularity Race “Il Trofeo del Savio”, valid for the National ACI Historic Trophy and the Criterium of the Scuderia Nettuno Apennines. The route will start from the Enzo and Dino Ferrari racetrack in Imola and will wind through the province of Ravenna, covering part of the Circuito del Savio route that saw Enzo Ferrari as driver win the 1923 edition. The panoramic view of the “Colli Romagnoli” will not be missed with his suggestive villages; the race will close inside the Circuit of Imola for a party that will involve the participants of the Historic Minardi Day. PLEASE NOTE: Applications must be received before April 23rd, 2019. With a copy of the bank transfer should be sent via email to sportoffice@autodromoimola.it. Il programma è provvisorio e può essere soggetto a cambiamenti. The schedule is provisional and subject to variations.